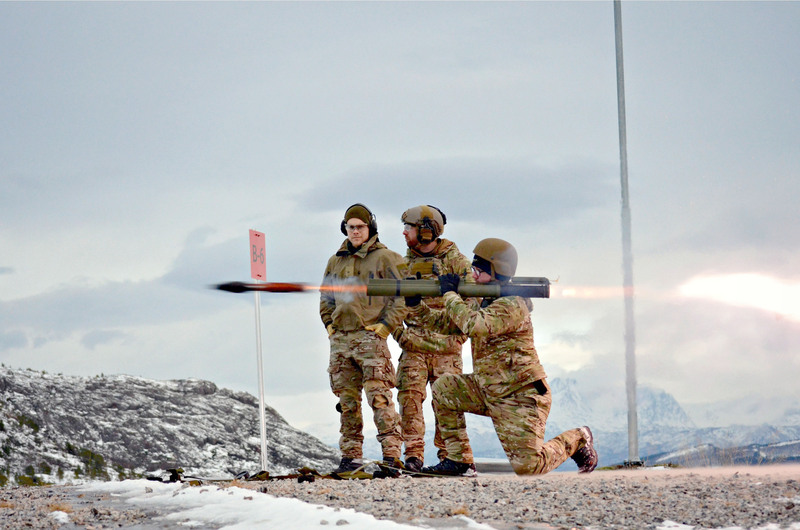 Free Photo of Three Soldiers firing a rocket launchers. Photo by Commander, U.S. Naval Forces Europe-Africa/U.S. 6th Fleet.